A diagnosis of cancer is one of the most feared diagnoses that your doctor could give you. Millions of people lose their lives to this disease every year, and even more must endure painful and long treatments in order to battle this disease. Early diagnosis is one of the greatest factors in determining how effective treatment will be, and it is one of the most important factors in oral cancer. With early diagnosis of oral cancer, early intervention can be started; therefore, it is important that you understand the warning signs of oral cancer and what you should never ignore. One of the scariest things about oral cancer is the significantly high death rate among those who are diagnosed. In the past decade, at least 50% of those who were diagnosed with oral cancer passed away within five years. This is an incredibly high death rate, and it is based on two disturbing dynamics: 1) late discovery, and 2) a refusal to change lifestyle choices. Avoiding tobacco products is the best thing you can do to prevent oral cancer, along with limiting your alcohol consumption. If you use tobacco in any form and/or consume alcohol, it is essential that you visit the dentist at least twice a year for a thorough exam and cleaning. It is also vital that you pay attention to any changes or warning signs of oral cancer so that you can catch issues early. 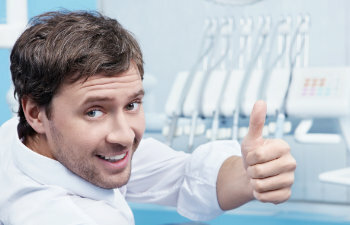 Contact Gold Hill Dentistry for any of your oral health care concerns.